My instincts were right! Setting a goal does nothing for me because I’m a mood person. I’ll read when I want to. I’ll write when I want to. Usually when I set a reading or blogging goal, I only think about what I want to accomplish as I’m typing the post, and then the next day, I completely forget that I’ve even set them, which is terrible all around. The only goals I actually pay attention to is the Goodreads challenge; as long as I read 100+ books, I’m golden. It’s a non-stressful goal that I know I’ll achieve. Knowing that I won’t achieve all the goals I’ve set for the New Year—does that bother me? Will I not set any goals? Not at all. I think there are a few I will always set for myself to achieve every New Year. Read more comics/graphic novels and write more posts about them. I’ve been starting to? Not as much as I had hoped. Hahahahahahahahaha, that didn’t happen. I can’t say I’m surprised? Because I’m never in the mood to pick up books from my shelves. I did manage to read some TBR comics on my bookshelves. The novels though? HA. Do a massive book purge. 2018 GOALS: WHAT DO I PLAN TO ACHIEVE? All these goals are ones I’ve always set for myself, so cross my fingers 2018 is the year I do all of them! Make a list of all the books I physically own. Did you achieve your 2017 goals? What goals do you want to achieve in 2018? I always want to do a book purge, but I have the same problem. I want to keep everything! You never know, I might read it again one day. Haha! Good luck on your goals for 2018! I’m the same way when it comes to goals- I’m such a mood reader (and mood everything else). But I did accomplish a few of my reading and blogging goals! This year I want to focus on my writing goals, reading more from my owned books, and commenting more regularly on blogs. We’ll see how it goes! 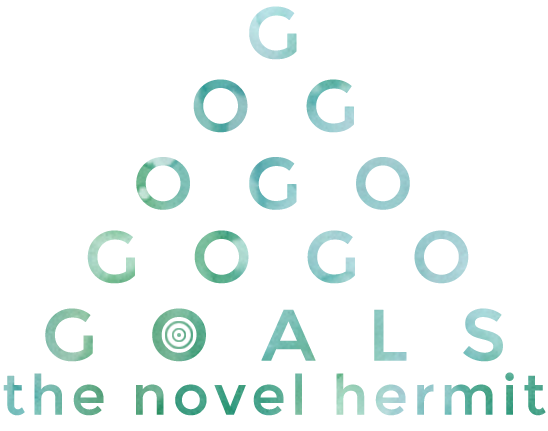 Good luck with your goals this year – you can do it :-) I’m trying something different this year and not only making year long reading goals, but breaking it down and reviewing every month and reading the books I need to no matter what. haha This is unfortunately so true with me too. I always set way too ambitious of goals, so I’m trying to be more realistic this year. I’m trying to read 50 books, and write more reviews. I feel like I read a ton, and never end up writing reviews for most of the books. Good luck with your goals!